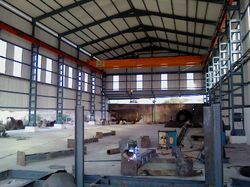 Pioneers in the industry, we offer heavy fabricated structures, shed steel structure, prefabricated shed, ware house shed, workshop shed and factory shed from India. Catering to the demands of customers as a manufacturer and supplier, we are engrossed in offering Heavy Fabricated Structures. The offered shed structures are designed by using the best quality steel that are sourced from the trusted vendors of the market as per crane capacity and other norms. These structures are tested as per the international standards of quality to ensure better performance without any interruption. 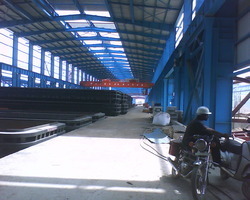 These Heavy Fabricated Structures are widely demanded in various industries for roofing purposes. Backed by vast industrial experience, we are indulged in manufacturing and exporting a vast variety of Shed Steel Structure. These sheds are used in various commercial and industrial establishments. Our offered sheds are designed in total compliance with the industry standards by using quality tested raw materials. Tested on various quality parameters by our experts, this Shed Steel Structure is offered in various sizes and dimensions as per the clientsâ€™ requirements. We undertake all types of factory shed works. 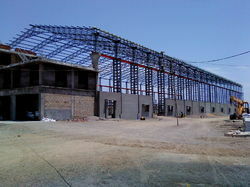 We are specializing in preparing factory sheds also. These sheds are manufactured with high quality raw materials and by experience staff. We offer best designed workshop shed for various works and as per customers requirements. 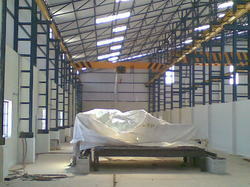 We can Provide turnkey workshop shed with crane. 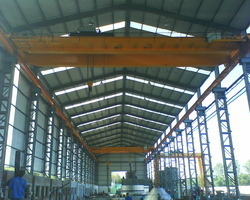 We offer best designed factory shed with provision of EOT Cranes for various Industries. 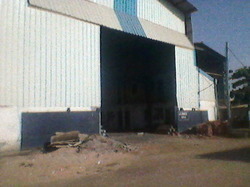 We are the one of the leading factory shed manufacturer in ahmedabad, Gujarat, India. Looking for Industrial Factory Shed ?